Matt&apos;s El Rancho. Credit Jody Horton. This restaurant was built from humble beginnings when the eponymous Matt got an early start at the age of six selling tamales from a wooden push-cart around the Capitol. He eventually opened a restaurant with his wife and Matt’s is still whipping up old school favorites 65 years later. Come for the Bob Armstrong dip and enchiladas (the spinach poblanitas are the way to go with fresh spinach, poblanos, mushrooms, house sauces and lots of cheese), but stay for the family atmosphere. DK Maria&apos;s brings vibrant flavors to those classic dishes Texans know and love. Every plate was inspired by DK Maria herself, a woman of rich heritage and a spicy lifestyle. This space is also great for large parties; their flag room seats up to 65 guests. When you spot the neon sombrero on Guadalupe, you’ve found the jackpot for tasty Tex-Mex. A Tex-Mex mainstay since 1954, El Patio continues to impress with fresh ingredients and hot dishes made right as they’re ordered. For the full experience, start with an order of nachos for the table then dive in to the El Patio #1 (including guacamole salad, chili con queso, a crispy beef taco, two cheese enchiladas and beans and rice), then wash it down with a house margarita. You can’t go wrong with anything on the menu. Start your meal with hot Latin kisses (stuffed jalapeños) and take a stab at finishing the super platillo which offers nearly one of every Tex-Mex favorite on a single plate! Chuy&apos;s Queso. Credit Angela Baldridge. 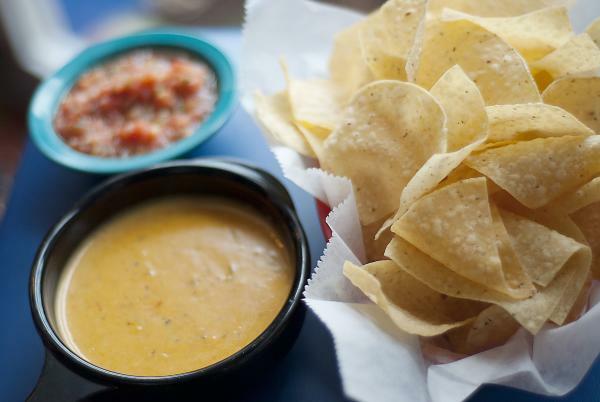 You may have heard of, or even been to a Chuy’s in other cities, but if you want the authentic experience then you have to take a trip to the flagship location on Barton Springs Road. There’s usually a wait, but it’s well worth it to get your hands on a Chuychanga or the famous creamy jalapeño and boom-boom sauces! Stop in at this unassuming family-owned favorite in north Austin to try their steaming fajita plato paired with a refreshing margarita. Enjoy tried and true Tex-Mex dishes and drinks inside or on the patio. No matter what brings you to this East Austin favorite, make sure you start with the saltillo dip - layers of beans, seasoned ground beef and queso, piled with pico, sour cream, avocado and pickled jalapeños. Head to the iconic Maria&apos;s for an eclectic, hippy ambiance mixed with killer tacos. Take a peep in on Sundays for “Hippie Church.” Take an hour to worship with live gospel grooves and thank God for the delicious tacos that are going into your belly. Maria’s is easy to find - drive down South Lamar and keep an eye out for the “Taco Queen” sticking out of the top of the building; you can’t miss her! Valentina&apos;s Tex Mex BBQ. Credit Rose McIntyre, BFA Photography. Two Austin staples in one, Valentina’s takes Tex-Mex quite literally. The simple but unique menu will not disappoint, with your choice of big Tex barbecue and scrumptious Mex fare. 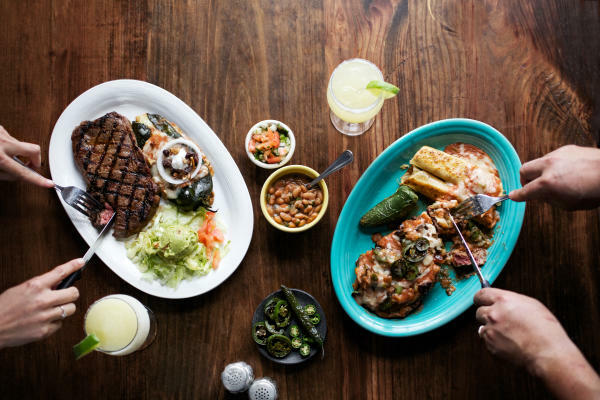 Homestyle-turned-Tex-Mex staple, Maudie’s, has become quite the Austin icon. All seven area locations prepare dishes and fresh-squeezed juices by hand daily, never straying from rooted generations of flavor and tradition. They also offer an extensive gluten-free menu. With four locations in the Austin area, you’re bound to have a Serrano’s near you. They cook their meat over a mesquite fire grill for extra flavor and the portions are Texas-sized; even the taco salad will leave you wishing you wore stretchy pants. This Austin eatery is known for its goofy attitude (have you ever seen the #ElArroyoSign?). But one thing they take very seriously is their food. Pop in for killer specials including 99 cent &apos;ritas from open to close on Thursdays. Need more options? 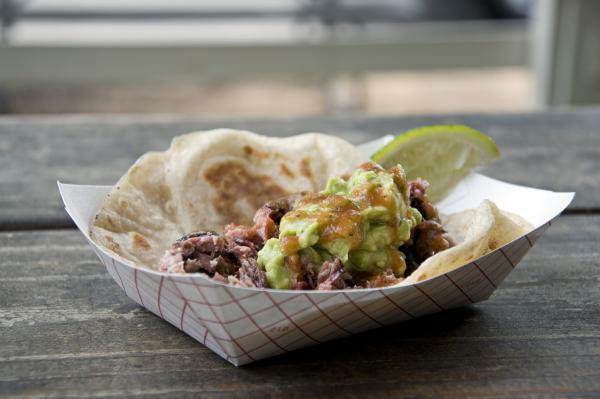 Check out this guide to the best margaritas and breakfast tacos around Austin!